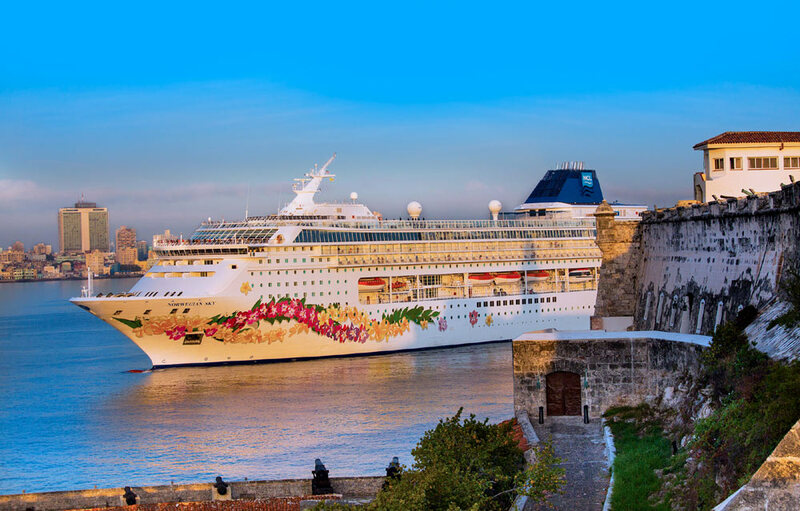 Norwegian Cruise Line has sailed to Cuba for the very first time and joins several other cruise lines which have now started sailing there. Norwegian Sky has completed its visit to Cuba for the very first time. The ship arrived at the island’s capital of Havana on Tuesday morning, May 2. This begins a new era of cruising in the Caribbean for NCL including all the executives who were onboard at the time. The call yesterday was the first of Norwegian Sky’s weekly roundtrip cruises from Miami to Cuba. The ship will sail a total of 53 four-day voyages to Cuba, with 52 including an overnight stay in the historical and culturally-rich capital of Havana. Norwegian offers a selection of 14 half and full-day OFAC-compliant shore excursions, where guests aboard Norwegian Sky will have the opportunity to have a farm to table dining experience, explore the flora and fauna of Soroa, see modern Havana in an American classic car and much more. Norwegian Sky is a 77,100 gross ton ship which can carry over 1,900 guests at double occupancy, The ship is based out of Miami, Florida and its next cruise to Cuba will depart on May 8, 2017.